I have been reading Fichte’s The Vocation of Man, and have come away impressed, especially by Book III – Faith. 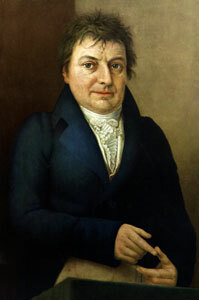 Fichte is known for promoting a so-called philosophy of solipsism, penned in an an impenetrable style, but I found neither to be valid. On the contrary, his writing is lucid and painstakingly addresses the greater social condition. He starts from inquiring mind outward, in a Cartesian style, avoiding peripheral concepts. Book III addresses several important issues – free determination and action (the soul), and the distinction between the two; the path of humanity and progress; and finally the individual will. I will have a post on each topic and want to begin with free will. Revelation is inspired by a skepticism – how can we have any assurance that there is a real world, with any other selves in it? Fiche seeks to resolve the seeming contraction of a natural world which follows a set of physical laws in which an independent will can somehow operate and effect the appearances. …There is within me an impulse to absolute, independent self-activity. Nothing is more unendurable to me than to be merely by another, for another, and through another; I must be something for myself and by myself alone. This impulse I feel along with the perception of my own existence, it is inseparably united to my consciousness of myself. I explain this feeling to myself by reflection, and, as it were, add to this blind impulse the power of sight by means of thought. According to this impulse I must act as absolutely independent being: thus I understand and translate the impulse. I must be independent. Who am I? Subject and object in one – the conscious being and that of which I am conscious, gifted with intuitive knowledge and myself revealed in that intuition, the thinking mind and myself the object of the thought, inseparable and ever present to each other. As both, I must be what I am, absolutely by myself alone – by myself originate conceptions, by myself produce a condition of things lying beyond these conceptions. But how is the latter possible? With nothing I cannot connect any being whatsoever; from nothing there can never arise any something; my objective thought is necessarily mediative only. But any being that is connected with another being becomes thereby dependent; it is no longer a primary, original, and genetic, but only a secondary and derived, being. I am constrained to connect myself with something: I cannot connect myself with another being without losing that independence which is the condition of my own existence. My conception and origination of a purpose, however, is, by its very nature, absolutely free – producing something out of nothing. With such a conception I must connect my activity, in order that it may be possible to regard it as free, and as proceeding absolutely from myself alone. …Here then, it appears, is the point at which consciousness connects with reality; the real efficiency of my conception, and the real power of action which, in consequence of it, I am compelled to ascribe to myself, is this point. Let it be as it may with reality of a sensible world beyond me; I possess reality and comprehend it – it lies within my own being, it is native to myself. Knowing is not enough, action is also at the heart of being. This takes us from the sensory world of appearances and raises the question of the independent mind: we know our own actions, but that knowledge is a mere observation. Something stands beyond knowing/observation itself. Within ourselves is the impulse to “absolute, independent self-activity” – free will, despite all evidence of cause-and-effect. The soul proclaims itself – our own independence strikes us as true. However, it would appear that this independence is lost as soon as it becomes contingent with the greater world. A sense of purpose must be absolutely free, otherwise it would lose its quality of independence. The notion of “I” – the ego – comes to light. 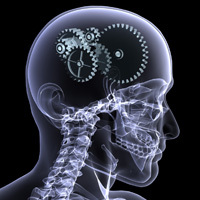 It is with the notion of self that “consciousness connects with reality.” Thought is conceived, but is not its own engine. To think, to act, we must have free will. The independent motor is independence itself. This cannot be validated by any power less than faith, which ameliorates all hesitancy and misgivings. Fichte’s independence recalls Descartes’ pineal gland, but instead of being the place where mind and body unite, it is the point where thought and action intersect. Fichte elaborates further, topics for future posts. This entry was posted in General Philosophies and tagged action, active, Active Philosophy, active thinking, consciousness, ego, engine, faith, fichte, free will, individual, johann fichte, johann gottlieb fichte, motor, Philosophy, pineal gland, solipsism, thought, vocation, will, world. Bookmark the permalink. As I read this, I could not stop thinking of the scientific method. In a sense, Fitche really is just recapping the way that we build up knowledge through investigation. He says, “‘Not merely TO KNOW, but according to your knowledge TO DO, is your vocation’.” When we attempt to learn something, we cannot merely conceive it within our minds, rather we have to act upon that “thought” to prove it or corroborate it’s validity. He goes on to say, “Here then, it appears, is the point at which consciousness connects with reality.” This is strikingly similar to the way that science connects with reality. It starts as a set of notion/equations/conclusions and then connects them with reality through experiment. You can can ponder up a concept of heat transfer. You can construct a view of material in the following way. The molecules in hot materials move more than they do in cold materials. In you mind you can imagine the hot object as a collection of “fast moving” points/marbles/balls/whatever. Given your knowledge of what happens when a fast marble hits a slow marble (i.e it slows the fast marble down and speeds the slow one up), we can conceive of heat transfer. Roughly, it is the transfer of motion from fast molecules to slow molecules through direct physical concept. However, at this point it this is still just a “conception” in your head with no true connection to reality… so you much develop it further. Then, realizing that materials are made of many many molecules you can apply statistics to this idea and come up with an equation that will tell how fast a hot object can transfer heat to a cold object. Once you have conceived of the “world” of fast and slow marbles bumping into one another and transferring momentum, you can then move on to an experiment and connect this reality constructed by your conscience (slow-fast marbles) with what you observe when you bring a hot object in contact with cold object (i.e. heat is transferred and the hot object cools while the cool object heats). Thus using the scientific method (hypothesis, test, conclusion) we can make sense of concepts. Although I gave an example that is not necessarily related to consciousness. I think it must be essential to developing active philosophy. Our mind has the ability to think and create, but it is not until we act upon these ideas that they become a reality. This, I believe, is a basic tenet of active philosophy. Our thoughts/conscience serve as the basis of our reality, but ultimately it is our ACTIONS that allows up to reap the benefits of these thoughts. Thus, in a sense we must apply the scientific method to see results/be successful.